Royal dining at the Stuart court was a magnificent affair. When the king dined in public, he would be seated alone at a table, served by members of the court, and watched by spectators. The courtiers served the king on knee and the rituals of dining followed a prescribed course. The washing of the hands, a solemn epilogue to the meal, was carefully choreographed. The ewer was usually filled with rosewater. Ewer and basin sets appear in the 1687 inventory of plate cared for by the Gentlemen of the Ewry, those responsible for the supply of linen to the royal table. 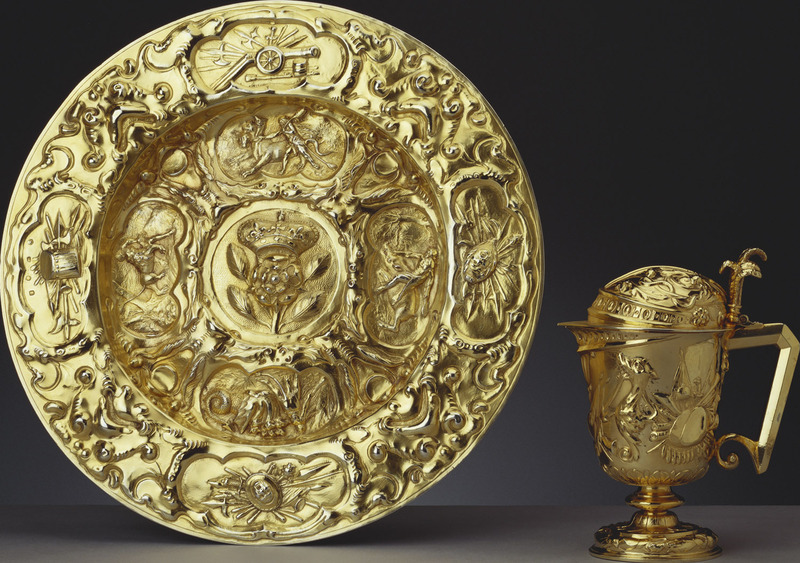 Unfortunately, this basin had lost its original accompanying ewer by 1690. A replacement was later supplied.